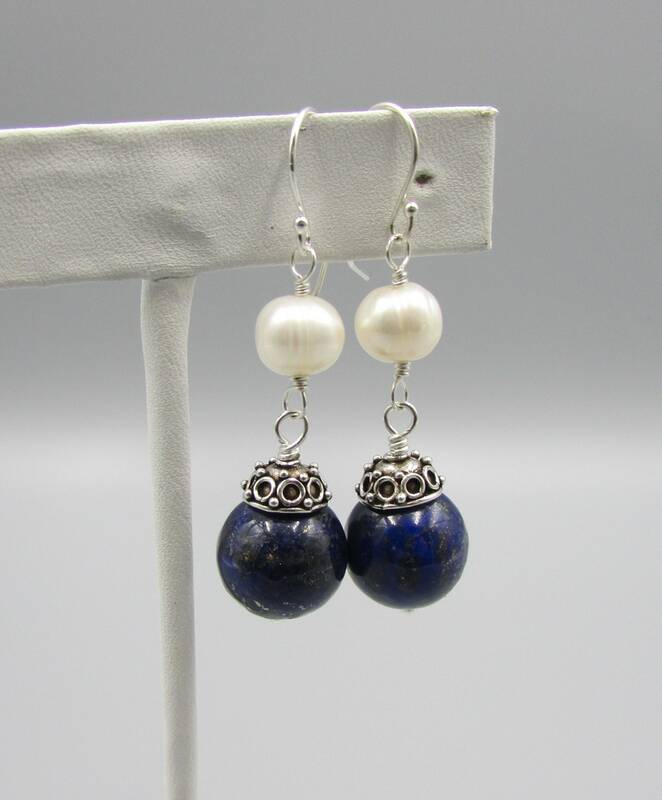 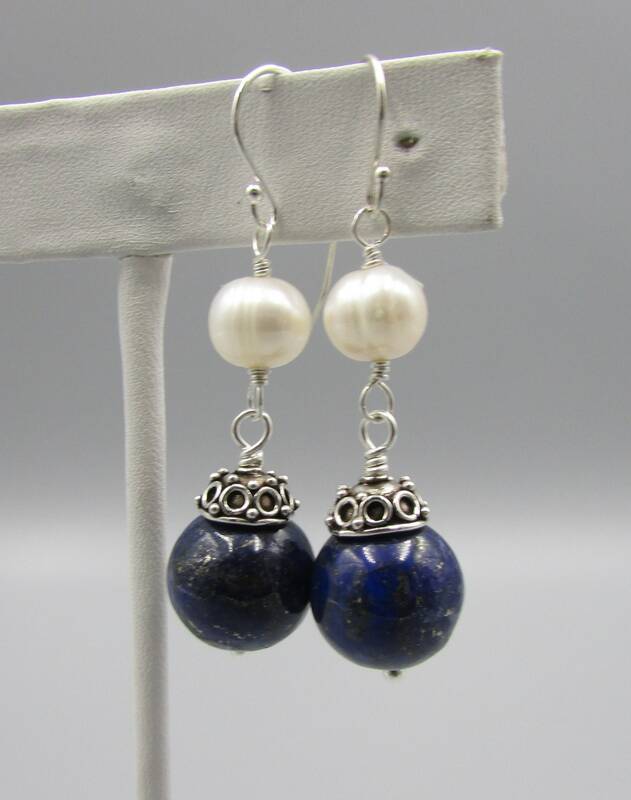 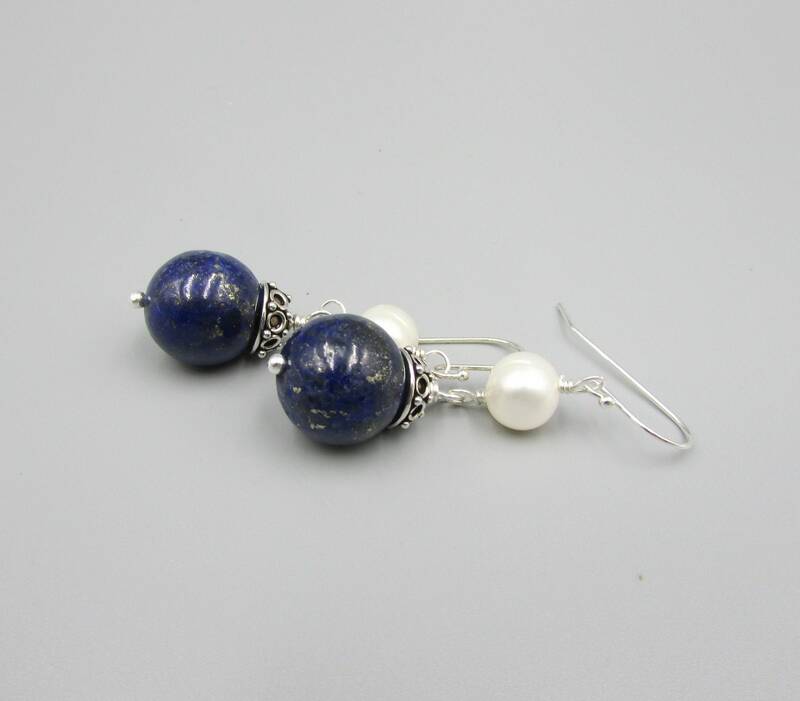 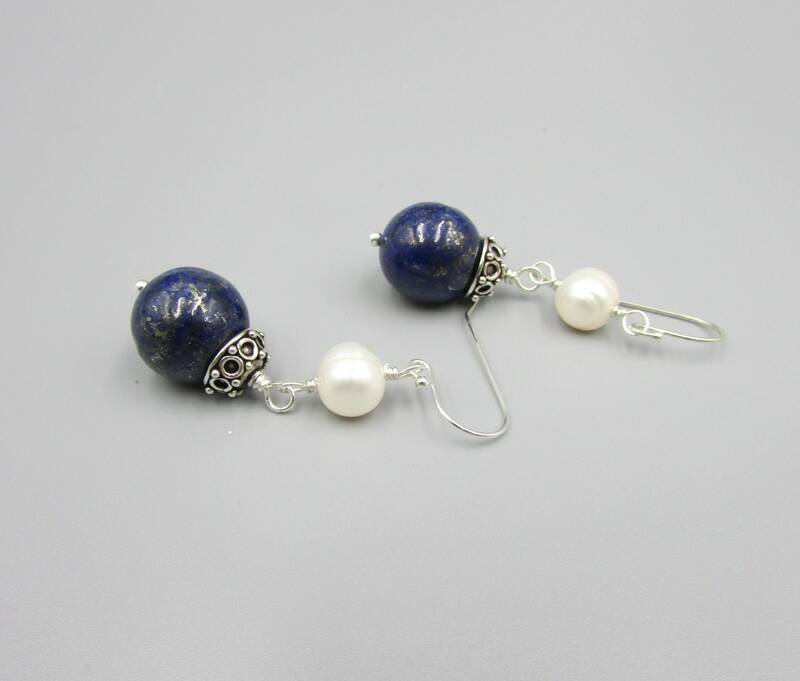 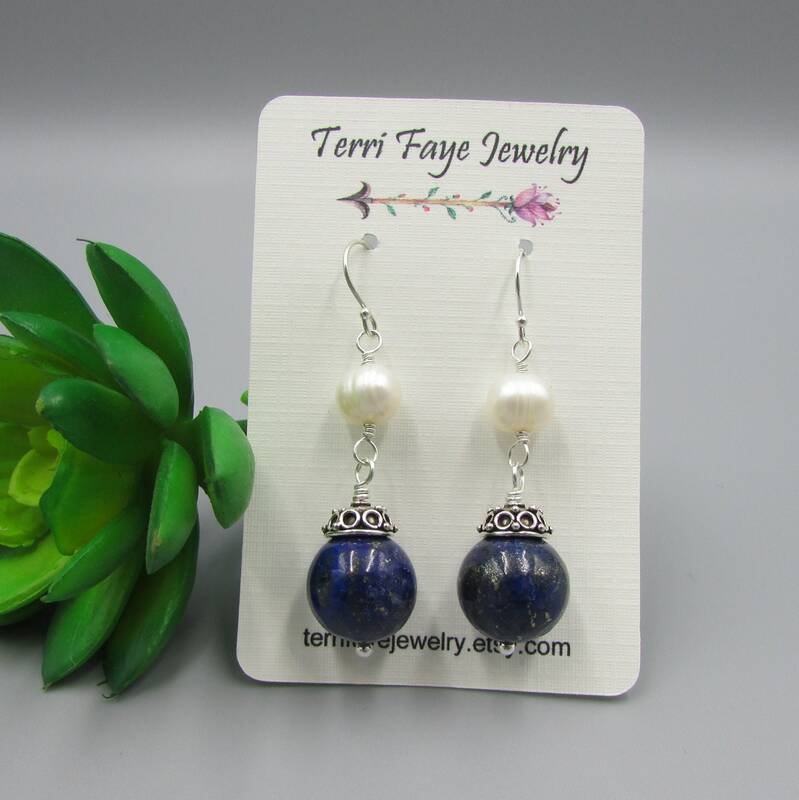 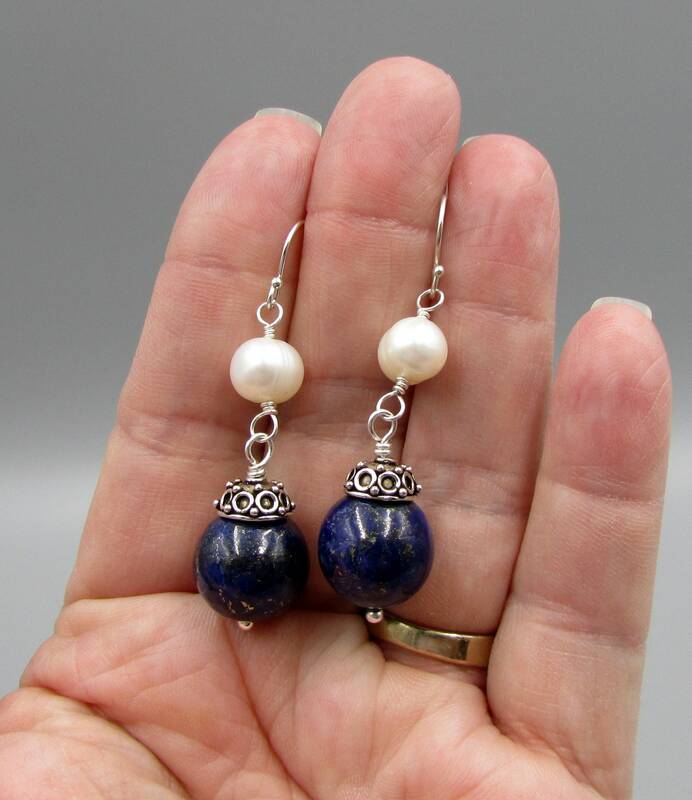 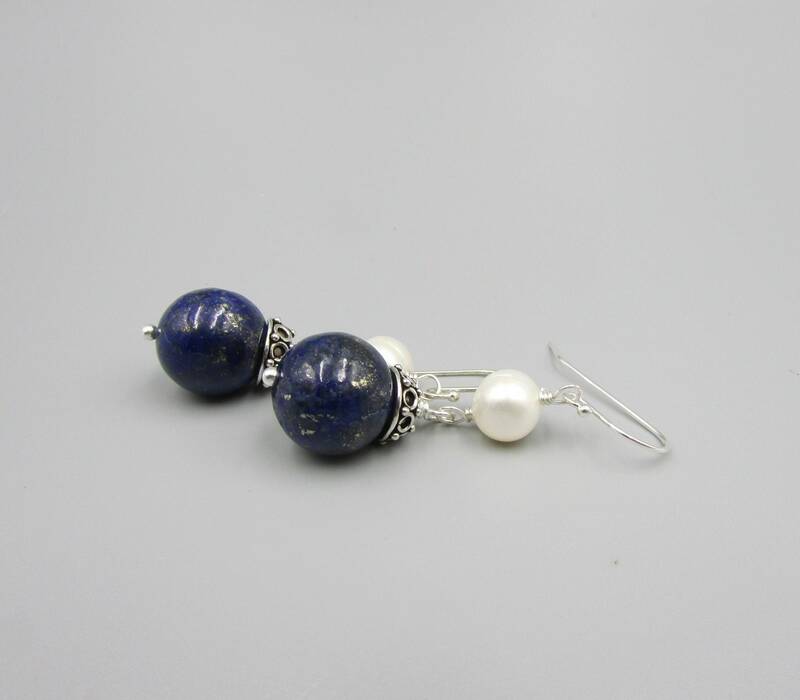 These beautiful lapis and freshwater pearl earrings are created with 13mm smooth round lapis gemstone, topped with a sterling silver bali bead caps. 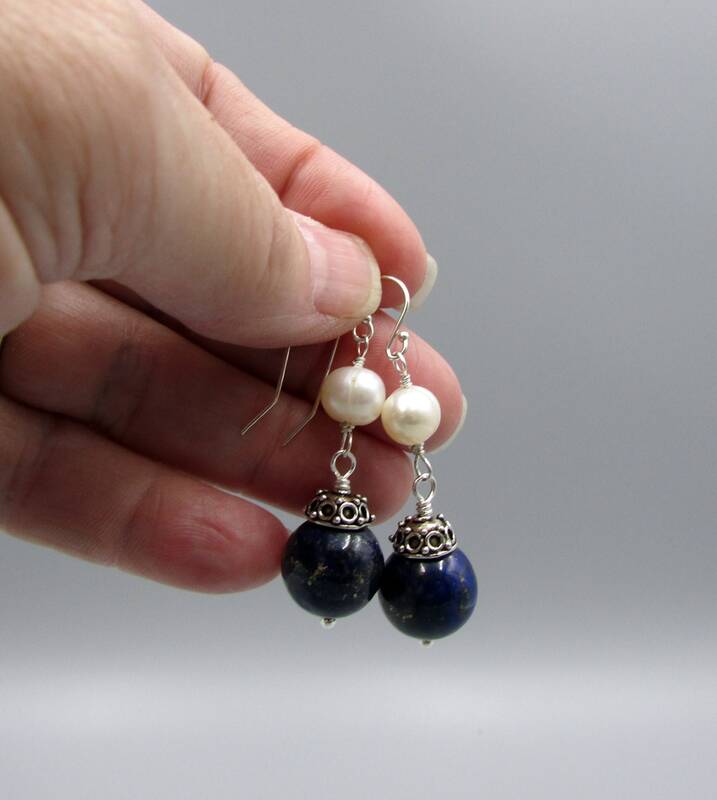 Added with a 8mm white freshwater pearls. 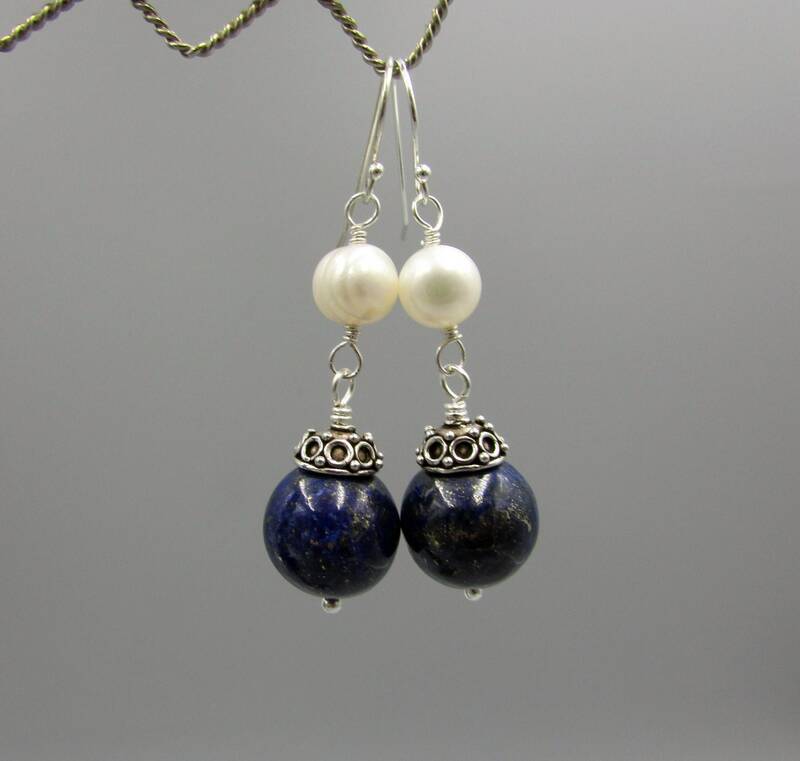 All sterling silver findings and finished with sterling silver ear wires. 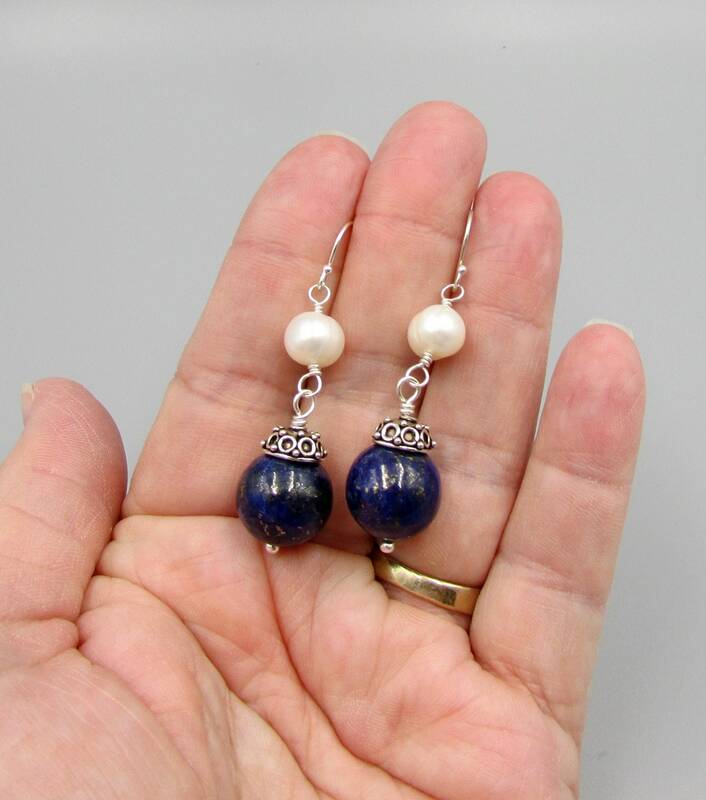 The length is 2 inches long.